We recently returned from a lovely week on the Amalfi Coast in Italy, somewhere I’d wanted to visit for years. It’s hard not to have it on the wish list of European holidays after no more than one Google image search – the rocky coastline is incredibly picturesque. In terms of scenery, the Amalfi coast doesn’t disappoint. This was taken halfway up a giant set of stairs – I had stopped to catch my breath! We stayed in a village between Amalfi and Positano called Praiano, which in retrospect was the perfect choice for us. The bigger towns we visited were pretty busy in July, and we were after a bit of relaxation. Praiano is about as calm as a town on the Amalfi Coast can get – the roads are a little bit, ahem, treacherous! There was a lot about the holiday which would have been a disappointment had we not been somewhere so beautiful – the hotel was pretty naff, the parking was unbelievably bad, the driving was crazy, my knees gave out for a full 2 days of the holiday because of the hundreds and hundreds of stairs… but look at where I got to sit with my knee pain! The view at sunset from our shared balcony – aah! Just out of shot: a Campari and soda. Praiano itself was great fun – we had plenty of restaurants to choose from, and a lovely little bar to end our evenings in, with a view of the village church and the cliffs. I don’t know how you could top this view? An Aperol Spritz, the sea, a sunset AND Capri in the background? Heaven! The food was amazing – I never realised I had such strong feelings about tomatoes and mozzarella! Caprese salad inspired crochet patterns may be on the horizon. The church in Praiano became a bit of an obsession for me because of one thing: its roof! I’m dying to make this into a crochet pattern. Look at it! It has the cogs whirring in my brain. There’s something about the crisp white teamed with the almost-navy blue and the mustard, and the geometric pattern which really speaks to me. I can see this becoming a pattern in the future… maybe a cushion cover? What do you think? I’m still pondering this one, but I need to crochet it! The church roof is made of the local ceramics. Ceramics are everywhere in the Amalfi coast – and they’re really gorgeous. We had this little basin on the walk down to our hotel which I was obsessed with. Aren’t the colours of this basin just perfect? I love them against the grey rocks. Over the course of the week we managed to fit in a trip to Sorrento and one to Capri. Sorrento was pretty busy, and the hairy bus ride getting there had us dealing with a bit of adrenaline come-down when we arrived. Nevertheless, it was really beautiful. I think Sorrento was the hottest day of the holiday – look at that sun waiting to burn my pasty white skin! Sorrento has a bustling harbour with yachts and cruise ships galore – and a great view towards Naples. Our trip to Capri didn’t get off to the best start – taking my dodgy knee down 400 steps to the beach to catch the boat wasn’t fun! The trip over was gorgeous though – the perspective change from the top of the cliffs to the bottom of the cliffs is astonishing. We had a distant view of the famous Faraglioni rocks from our terrace so it was crazy to be taken, er, through them (!) on the boat. Our boat took us through this teeny archway – not at all terrifying! And then we got off the boat to some huge crowds and overpriced cafes… it was tough to keep my short fuse from burning out! But then when we got off the funicular to the main town, Capri was lovely. Sigh. Italy is so beautiful! This is what greeted us at the top of the funicular in Capri. We immediately took ourselves away from the bustling crowds in the main square. We had no idea where we were going, other than “away from all the people”. And we found a gorgeous little restaurant with a panoramic view of the sea – I swear, I could feel my blood pressure go down as we sat there. Well, maybe it was the restaurant, maybe it was the wine? But it was very relaxing! After lunch we decided to keep away from the crowds and pound some back streets behind the church. The best part of these back streets for me were the sneaky peeks I had into people’s gardens through their gates. Front entrances are so neglected in the UK – often just where people keep their dustbins or park the cars, I think I prefer the Capri approach. While I’m not sure I can achieve a front door this appealing in the UK, it’s worth having a goal! Ok, the last one of someone’s front door, I’m starting to look like a crazy person! In true Elsie Pop form, I of course found some crochet on our back street walk! We stumbled upon a lovely little shop called Eco Capri. I couldn’t resist poking my head inside as soon as I spotted this crochet bird cage outside! Eco Capri, like most of the shops we found in Capri, is super high-end – it was SO nice to see crochet items in this kind of place. I loved the single-colour crochet accessories with a Capri theme – lemons and the sea. The home accessories were all either single-colour or bold stripes. This is so my usual crochet style, I was really excited to see it all put together like this. The bold stripes of this crochet chair are right up my street – and what a great use of crochet! A chair! 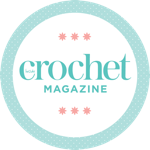 I loved the vases of crocheted flowers around the shop too – I’ve made bouquets before, but never thought to crochet the vase as well! The bright vase was fabulous – it’d look great in our living room. I also loved the more neutral palette of these flowers. I left the shop – and Capri – feeling fully inspired! A lot of the items in Eco Capri used t-shirt yarn – something I have a lot of, but have never found the ideal project for. The clean lines and bold patterns of these items really gave me food for thought. On our last day, we had a late (and delayed!) flight home, so we decided to stop at Pompeii for the day – something I had always wanted to do. Pompeii didn’t disappoint at all. It’s absolutely incredible seeing how much they’ve restored of the original city. It was much more emotional than I expected – above all, Pompeii seems like a normal place. The Romans were spectacularly advanced, and there is so much modernity to the city, which makes the tragedy of the events there feel very close and very real. Don’t worry – there is crochet inspiration there too! Look at this lovely pattern, found in the baths. I can see the shapes in this roof working as a crochet blanket, can’t you? The theatre is incredibly well-preserved, and feels huge when you sit in it. The size of the theatre gave us an idea of just how big the city’s population was. Upon leaving Pompeii, you’re greeted with a great view of the city which really helps convey its size. The sight of Vesuvius looming over the city struck me as really sad. This doesn’t capture anything like the whole city – it’s huge. Oh, I’m all misty-eyed! This is the problem with writing a holiday blog post so long after the actual holiday (sorry!) – I just want to go back! Oh, it all looks just beautiful! All the colours in those sunsets, the aperol spritz, those pretty front doors, the flowers, that spectacular theatre! It sounds like a lovely (if busy!) holiday – I love how you manage to find a yarn shop in the middle of Italy! You must have a radar! Just stopping by again to say thanks so much for joining us at #SharingtheBlogLove! I also thought of an idea for the crochet pattern turret – a tea cosy! Gorgeous pictures. I went to a wedding many years ago on a small island just off the coast of Italy and had to fly in and out of Naples. The very short drive from the airport to the harbour (and the return) must have aged me 10 years, I have never known anything like it! I have always wanted to have an actual holiday in Italy but think I’ll need your advice and steer clear of July. I agree that church roof would definitely make a great crochet pattern, beautiful colours.